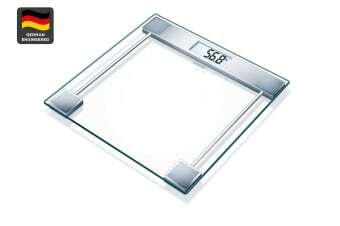 More than just a scale, use the Sanitas Digital Glass Bathroom Scale to accurately weigh yourself or even as a stylish bathroom accessory. Modern and sleek in design, the Sanitas Digital Glass Bathroom Scale (SGS06) features a large standing platform of SlimLine Safety Glass with an extra large, easy to read digital display. The scale includes easy tap on technology, 150kg weight capacity, 100g graduation as well as auto switch off. You can also get accurate measurements with the variety of weight modes including kg, lb and stone. Sanitas combines German design and engineering with state-of-the-art technology to produce market-leading products for the health, wellbeing and beauty sector.